Perinatal Hospice is the process offered to mothers/families to offer support when they learn that their baby has a life limiting condition and choose to continue with the pregnancy. You can learn a great deal about this at perinatalhospice.org…there are sections for both families and caregivers. “Perinatal Hospice” and “Perinatal Palliative Care” are very similar ideas but slightly different. Applying years of experience to this, I had my own definitions of these terms (which you may have read here in earlier versions) but I read works by some professional peers who (for very good reasons) defined them differently and rather than argue with people, I decided to adapt my definitions to the conventional wisdom to provide clarity for families seeking helpful information. My peers often define “Palliative Care” as the whole large scope of support from diagnosis through bereavement and beyond – the big umbrella of care and support. “Perinatal Hospice” would then be the specific moments of physical care of the baby who is imminently dying. These terms are, however, often used interchangeably which is fine in most circumstances. 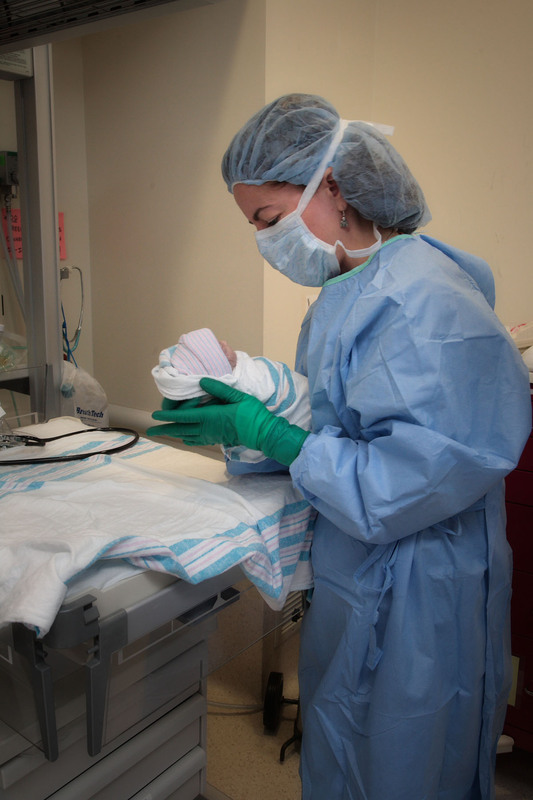 In general, care often involves Obstetrics, Neonatology, & Perinatology (with physician and nursing input from all of them), Lactation Consultations, Pastoral Care, Mother/Baby Care, Home Hospice and others. The caregivers in any neonatal palliative care situation need to be able to assess for confirmation of presumptive diagnosis, change the care plan as needed based on infants condition, & provide comfort care that may or may not include medical and pharmacologic measures. A baby’s care at delivery can be straight forward or it can get a little more complex (or a lot more complex) based on how they actually present vs what we expect. I have seen cases where the expected disease simply does not manifest in the baby to the degree that we expect. These babies are most often born in a state of shut-down with shallow or absent breathing and slow heart rates…breathing slows and stops then heart rate slows and stops gently. Death is often so peaceful that it is almost hard to declare an exact time of death (although one will have to be estimated). Dont miss my Perinatal Palliative Care Resources list.